Works are progressing well at SLM Bracknell, with the dry changing areas, reception, Village Change phase 1 and the large fitness suite (850sqm floor area) all handed over prior to the Christmas break. the café refurbishment and the new studio which is being created in the old gym and boasts an impressive double height work out space, new timber sprung floor and mirrored walls. 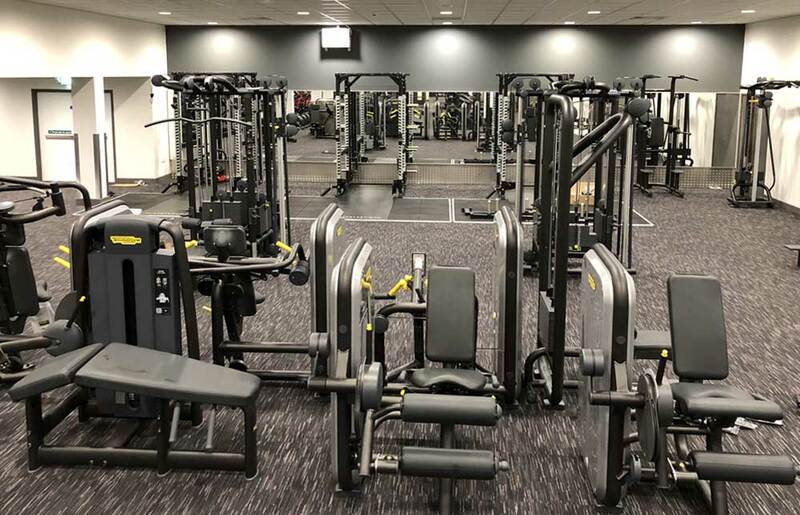 The client has been impressed with the new facilities, in particular the new fitness suite which has been kitted-out with a full range of the latest state-of-the-art equipment, including a dedicated cardio, stretch, free-weights area with a resistance sled track. The new reception has also been received well – with its bright, spacious, inviting appearance, setting the tone for the newly refurbished centre. Works are due to complete in March 2019.